SequenceK THOR Sounds [Donationware], Patch/Program Bank from Kreativ Sounds. 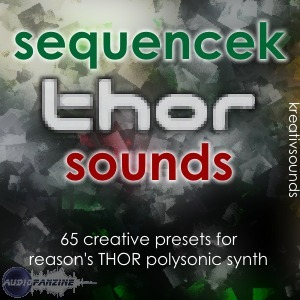 Kreativ Sounds released SequenceK THOR Sounds, a collection of sounds that explores and combines all the features of this synthesizer, according to the company. Kreativ says each preset has all the macro controls assigned making it easy to give them your own sounding fingerprint. SequenceK THOR Sounds is a pay-what-you-wish product meaning that it cost as much or as little as you want to pay. 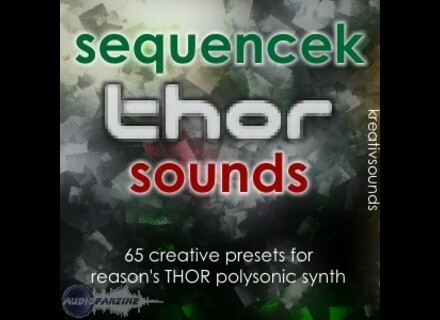 More info and demos are available at www.kreativsounds.com/ks-sequencek-thor-sounds. Mastering the Ensoniq EPS/ASR Samplers This book is designed as a tool for using the EPS, EPS-16 Plus, and ASR samplers. SoundsDivine New Analogue SoundsDivine has programmed a preset bank for Image Sawer Line. Stupid Design Axolotl The axolotl is an analog synth noisebox made for "demanding sound-designers and noise musicians," according to Stupid Design.